All distances are measured in yards. 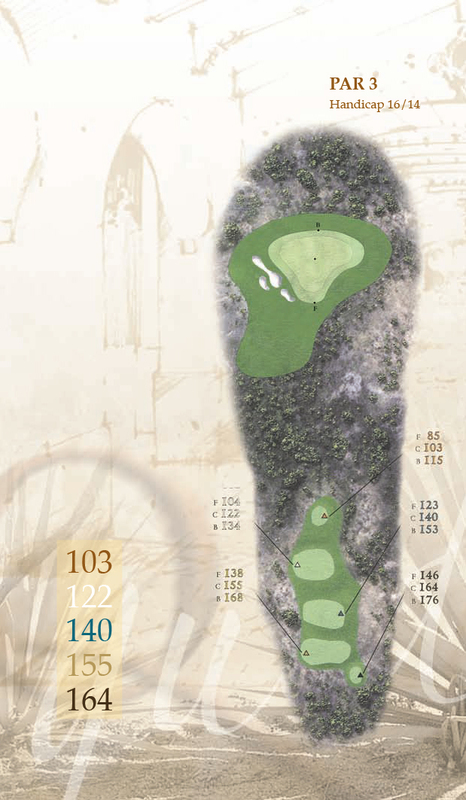 All yardage markers are measured to the center of the green. 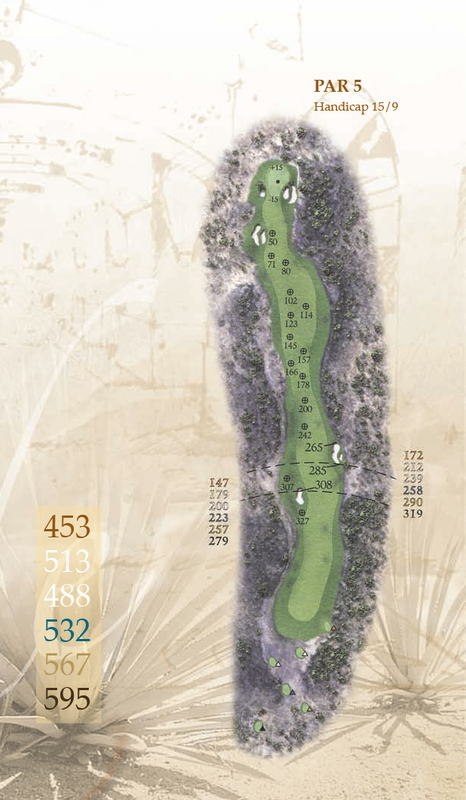 The dashed are carry distances from the Tee boxes. The distance numbers by the arcs are color coded. A generous fairway is provided on this opening hole. Favor the right side of the fairway and you should only have a mid to short iron left for your approach. Enjoy the vista in front of you but you don't want to be long to this "infinity" green. 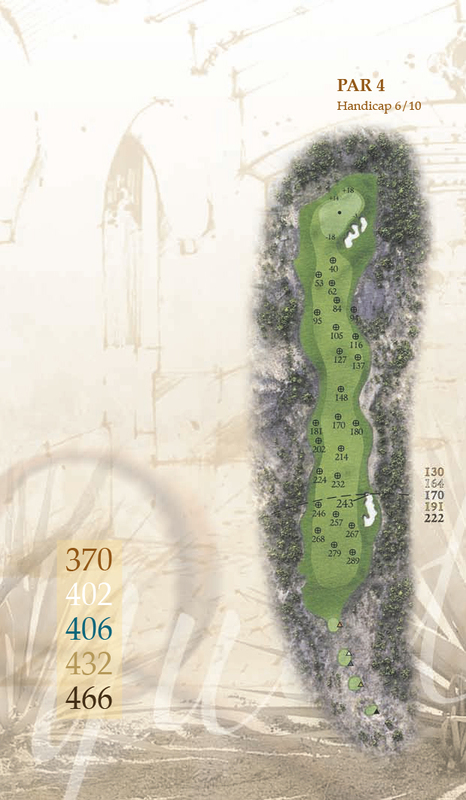 This is a difficult looking par 3. Play toward the left side to take advantage of the left to right sloping fairway and green. 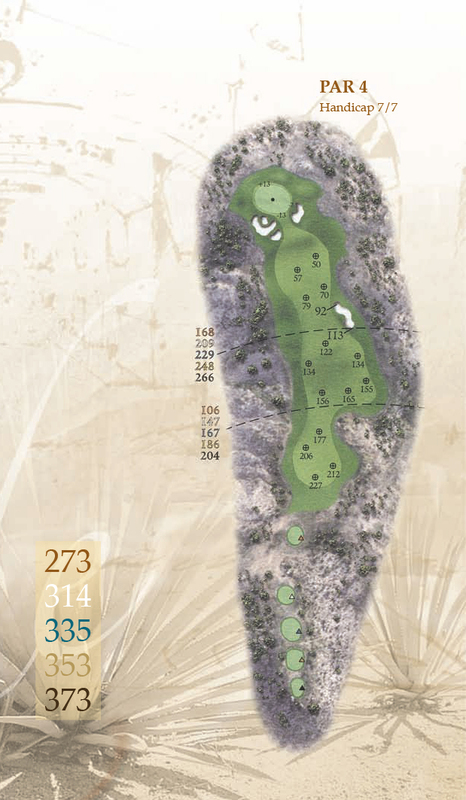 Pay extra attention to club selection when there is a long or short pin placement on this large undulating green. 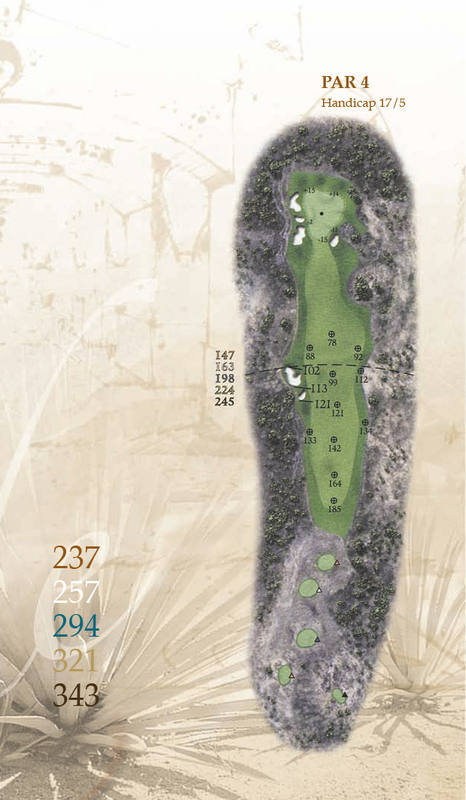 On this medium lenght par 4, you don't have to hit it long to be in good position. A drive slightly right of center will roll to a perfect spot on the fairway. The green slopes from right to left and back to front. 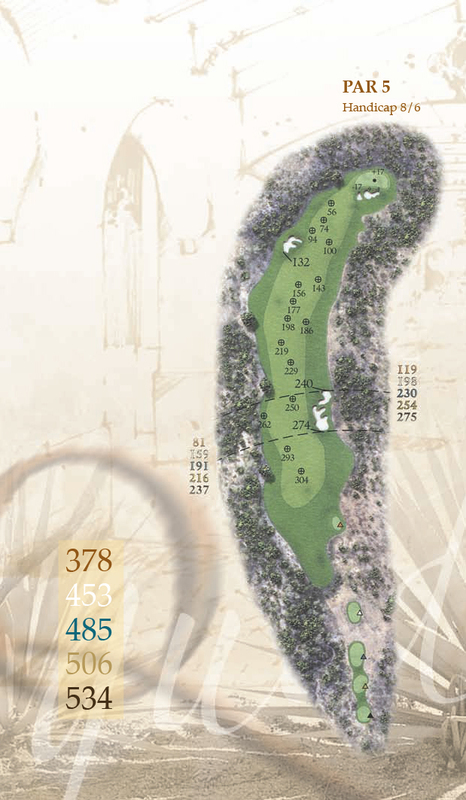 Being	conservative off the tee will be an advantage on this dramatic par 5. 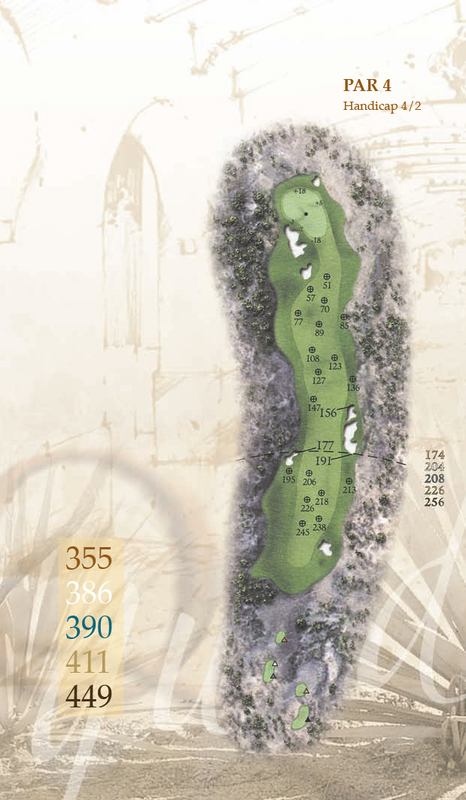 Play your tee shot toward the fairway bunker, and your second shot right of center toward the forward fairway bunker. This will leave you with short yardage to the green. The pin position will determine the direction of break. The green slopes predominantly from right to left. 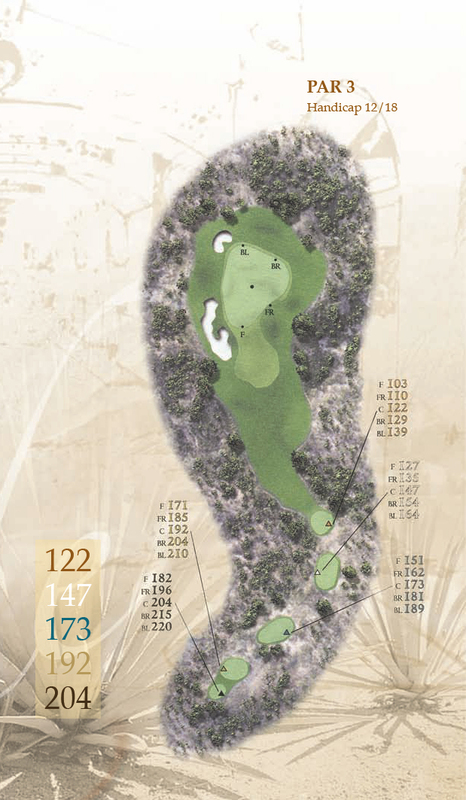 From the elevated tees of this par 4, favor the right side of the fairway. A good line is toward the fairway bunker, which will give you the best angle to approach this well guarded elevated green. A well placed tee shot is required on this demanding dogleg to the left. Play toward the right side fairway bunker as anything on the left side could get you into trouble. Club selection is important as you prepare to play to the green. The approach is downhill and there is not much room to miss the target. 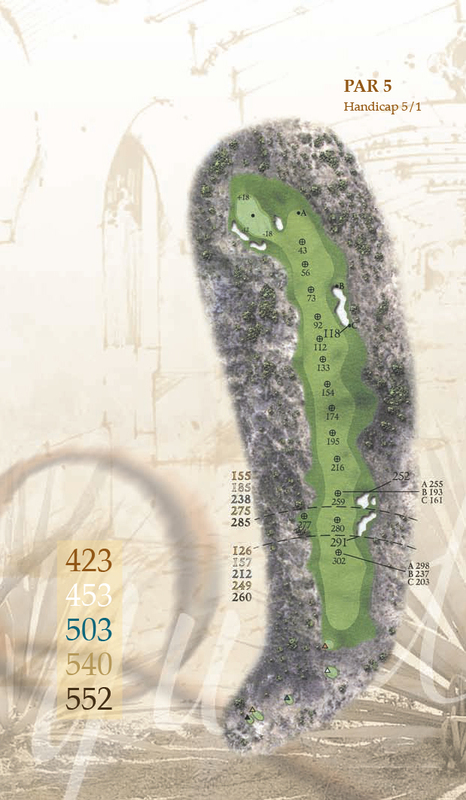 This shorter par 4 demands accuracy not lenght. 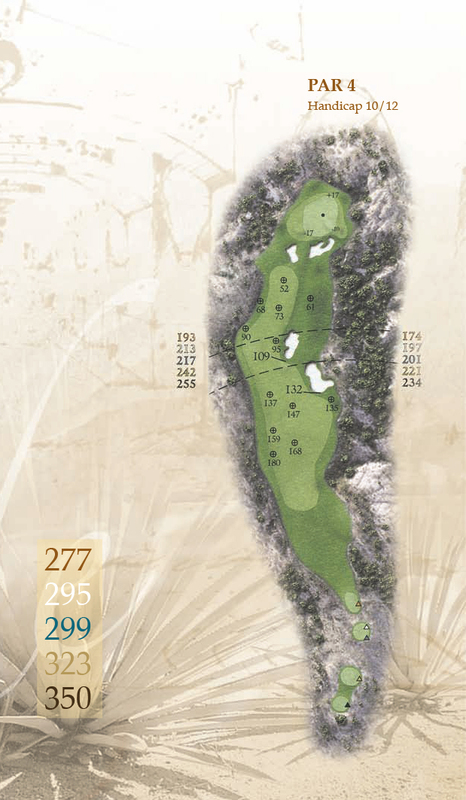 With your tee shot in the middle of the fairway you'll increase your opportunity for a par. The hole gets very narrow as you near the green. You will have to loft your approach to get it close. 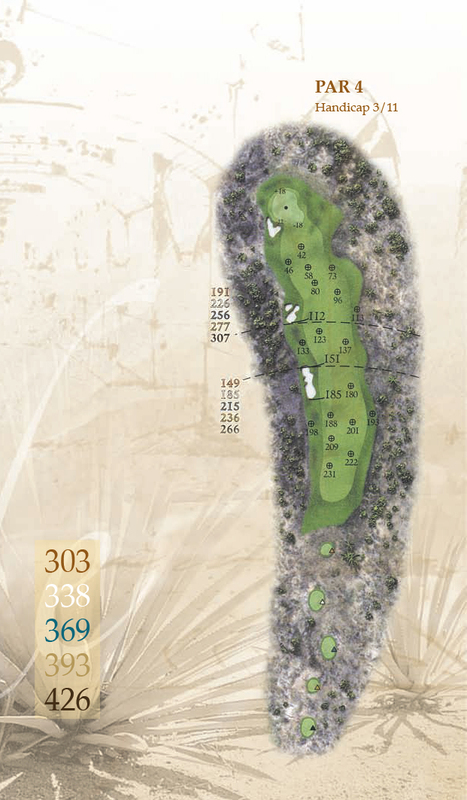 Wind and pin position will determine club selection on this par 3. 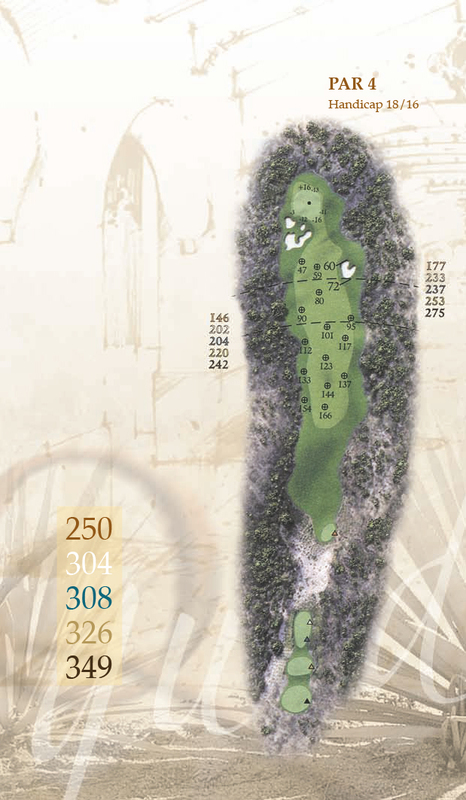 The green is one of the largest on the course and slopes dramatically from back to front. On this long downhill par 5 a big tee shot favoring the right side of the fairway will shorten the hole and keep you away from trouble. 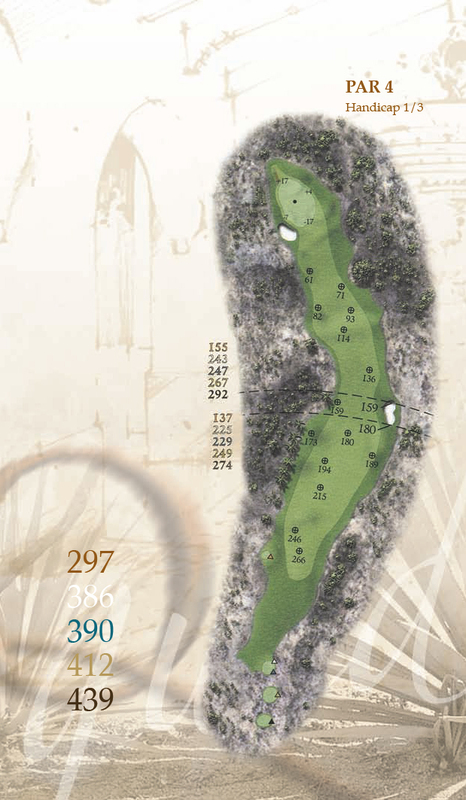 For your second shot you'll have an elevated view of the green, which will tempt you to swing for the putting surface. Favor the left side with your approach to get it close for a center to back hole location. A welcoming fairway greets you on this great par 5. Left of center is the ideal position to give you a clear view of the green. Large bunkers protect the front of this green, which has several feet of elevation change from front to back. Precision on this approach will help the scorecard. From the teeing area, pay attention to wind conditions when making your club selection. The green slopes from back to front and a ridge runs across the entire front quarter. You will want your tee shot to carry the ridge. From the tee area of this par 4 aim toward the right side fairway bunker. The green is elevated from the fairway and slopes sharply fron right to left. 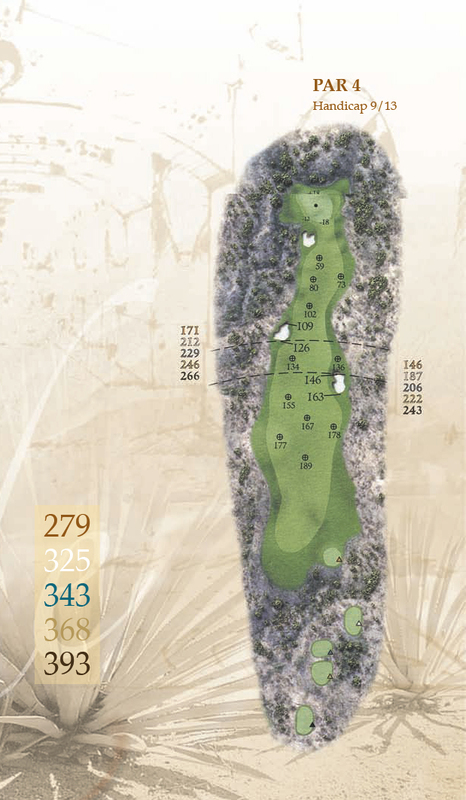 Length off the tee will make a difference on this par 4. 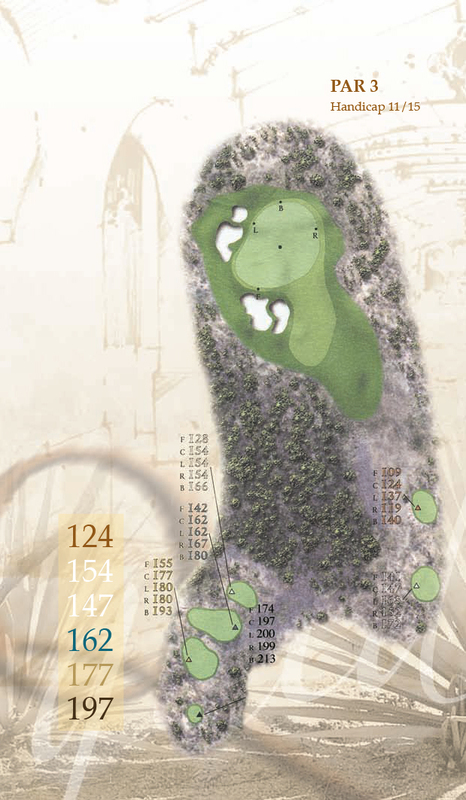 The ideal drive is the right center of the fairway opposite the fairway bunker. 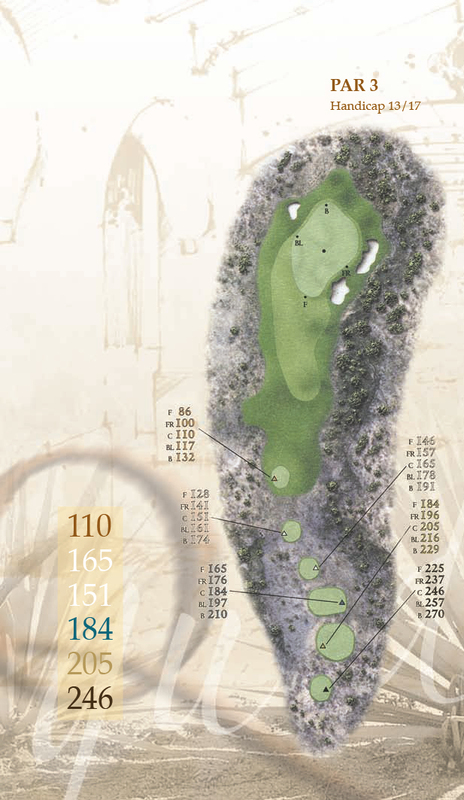 You may have to fly the greenside bunkers to get your ball close on this two-tiered green. Favor the right side of the green on your approach to benefit from the right to left slope. This beautiful par 3 rests at the top of a bluff that rises out of an arroyo. 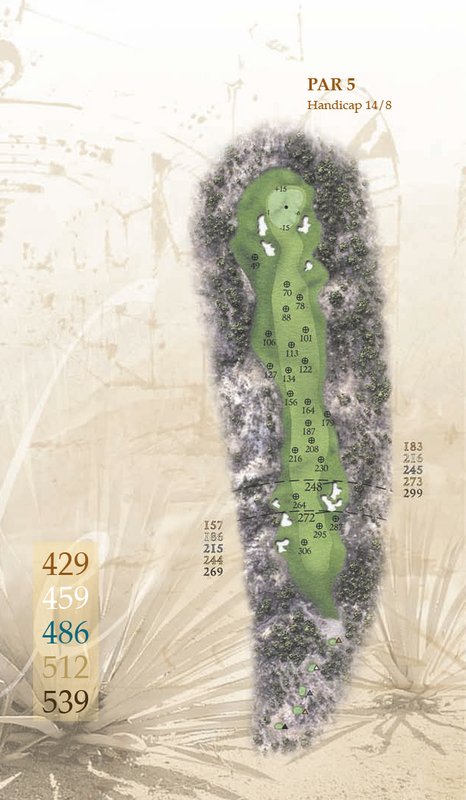 Be prepared to hit an accurate shot to this, the shortest par 3 on the course. Set up for three shots on this par 5. The ideal tee shot is toward the right side fairway bunker; your second shot should favor the right side of the fairway, this will give you the best angle of approach to this elevated green. There is no trouble off the tee on this straight away par 4. Following a well struck tee shot you will have a good view of the green for your approach. The second shot provides the challenge. The bunkers that guard the right front of the green will force you to play to the middle of left side. 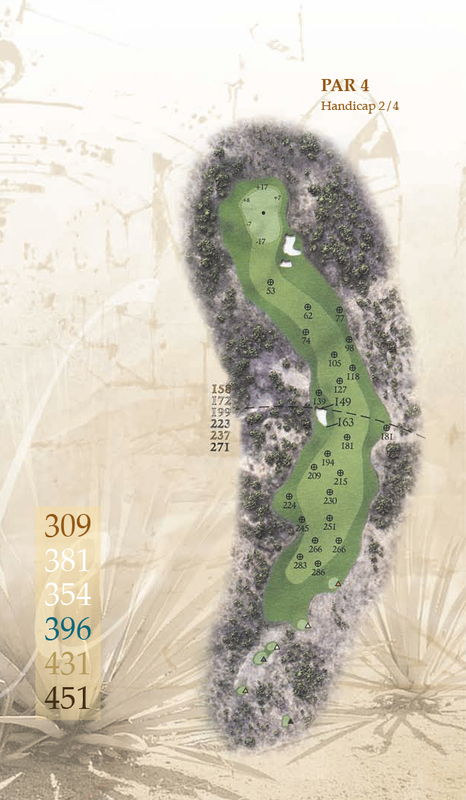 A long iron or a fairway wood is the club of choice to put your shot in the left center fairway of this shorter length par 4. You will have to carry the greenside bunkers for any pin placement. The green predominantly slopes from right to left. This finishing hole appears to be longer than it is. A couple of good swings should get you on or close in two. Favor the right side of this fairway to maximize your view of the green. On your second shot you will want to again favor the right side to stay clear of the deep green side bunkers and to take advantage of the right to left sloping fairway. This two-tiered green slopes severely from back to front. ©2017 Querencia Cabo Collegiate. All Rights Reserved.